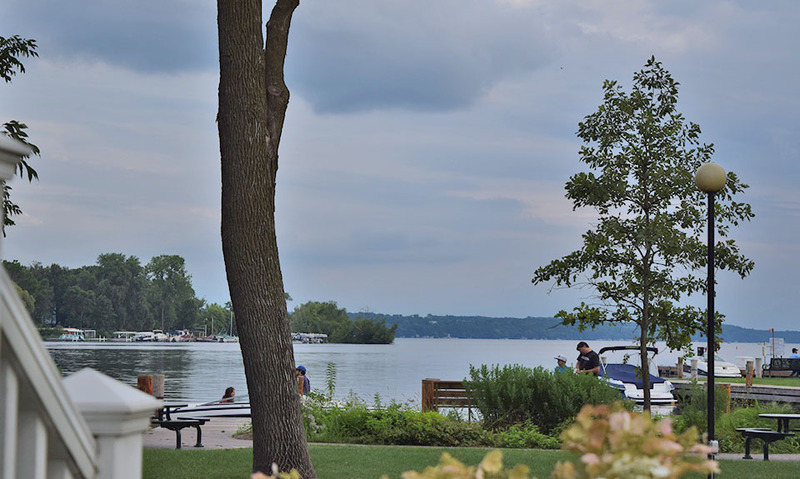 There is a reason that in the 1800's people from privileged society would travel from half the country away by horse and buggy to vacation here at Green Lake, Wisconsin. It is, indeed, a particularly beautiful slice of heaven on earth. Thankfully, we don't have to suffer such inconveniences. And today, you can even consider becoming a permanent resident to this very community. 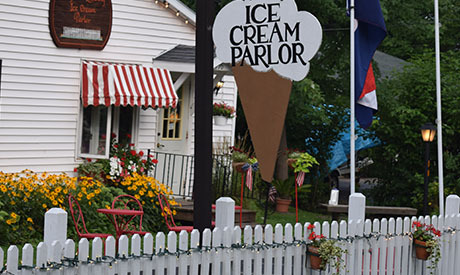 Imagine strolling the quaint sidewalks every day, with the delicious smells winding out of the gourmet eateries. You could sit in your own living room, reading, and hear the distant hum of the boats and nightly live music. Or walk down closer to be a part of it all. Genuine and friendly, mixed income, mixed ages. Median closing price ranges from Green Lake at $219,000, to Waupun at $113,000, to Ripon at $108,000, to Berlin at $84,000. Small town, choosing to keep life simple. The authentic Main Street America feel of these communities. Someone who appreciates all four seasons outdoors. 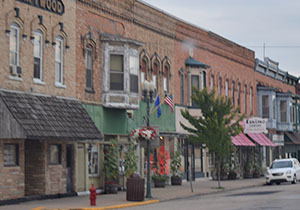 Click here to search for listing in Fond du Lac Surround. Green Lake, population 960, is a small community located on the north side of Green Lake. If you enjoy or work in the tourism industry, or like the vibe of tourists and mixing with the culture they bring to the community…this resort community is for you. Located in Green Lake are the Heidel House Resort and Spa, Evensong Spa, the Green Lake Conference Center founded by American Baptists Churches of America, and Lawsonia Golf Course. Waupun has a population of 11,340 and lies near the edge of the Horicon State Marsh, the largest cattail marsh in the US and is the main access point for viewing wildlife. 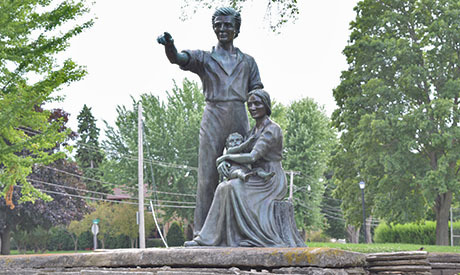 Waupun is known as the “city of sculpture” because of its sculpture collection from Clarence Shaler, a local sculpter. 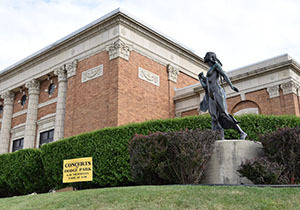 There are eight striking life-size sculptures that are on display, some made by Mr. Shaler, and some commissioned by Shaler. Ripon, population 7,664, claims to be the birthplace of the Republican Party. 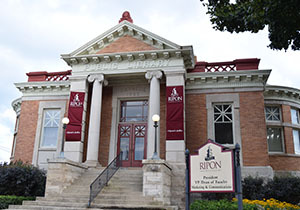 It is home to Ripon College, Vines and Rushes Winery, and the Thrasher Opera House. 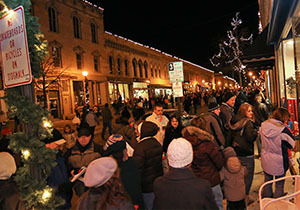 It was voted #7 Happiest City in Wisconsin, one of the “Coolest Small Towns in America” by Budget Travel Magazine in September 2011, and one of the safest cities in Wisconsin two years in a row. 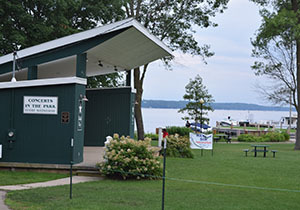 Berlin, with a population of 5,524 has an aquatic center and is the head to the trail system called the Mascoutin Trail which leads through Ripon and Green Lake. 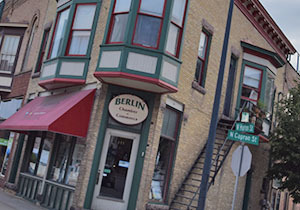 Berlin hosts many summer events for the whole family including the Berlin Fox Festival, Independence Day Berlin Style, Bugle Mouth Bass Fishing Tournament, the Berlin Boat Club Corn Roast and Street Cruzers Car Show. In the winter over 100 trees are lit in beautiful Nathan Strong Park. Outdoor winter enthusiasts can enjoy some of the best snowmobiling trails in the county, riding all the way up the Fox River.